Your posts really boost our spirits. Thank you!! Strike a pose. Leg warmers are BACK. Bella is tolerating feeding through her feeding tube and pooping like a champ. Mommy got to hold her yesterday and today. Bella opened her eyes and looked at mommy while being held for the first time today. We came home without Bella. That was rough. Seeing the empty car seat and having to unpack her coming home outfit and clothes...breaking points. Bella doesn't feel real...even when we're with her, we can't touch her. They keep her sedated so she won't move around too much and cause new blisters or exacerbate existing ones. Doctors seem in no hurry to do the biopsy...short term care isn't going to be impacted by results...only her long term prognosis...which is what we'd like a glimpse of. The spectrum of this disorder is so wide...from superficial to fatal. 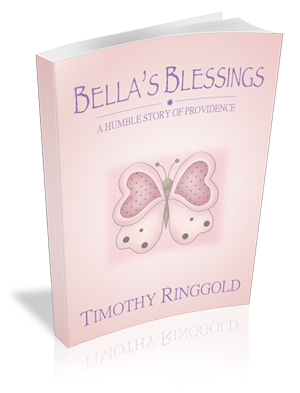 The flipside is that it forces us to stay present and savor every moment we have and every little sound Bella makes. The Tx team is trying to keep Bella's wounds clean and healing and infection free. Some blistering is getting better, some is getting worse. Both hands are now bandaged due to blistering on the outside of her fingers. We're home and we're exhausted. We have to pace ourselves; this is most likely a marathon, not a sprint. No return of seizure activity. No blisters from being taken out of isolette and "held' by mommy for 2 hours yesterday. YAY! Mommy holding Anabella for the first time. Dr. Metz (pediatric dermatologist -UCI Medical Center) has seen photos of Bella and is now in the consultation loop. We trying again this afternoon for Bella to be held by mommy. Bella was still too agitated at 22:00 from afternoon activity to be held again last night. Bella has to be medicated/sedated with morphine to prevent her from moving around too much and exacerbating her existing wounds and blisters. This leaves her too sedated to try to feed orally. Tx team is considering feeding tube, but her condition may affect her esophagus and a tube going down it may trigger blisters in her esophagus. Angelique is recovering like a CHAMP!!! Doing really well. She is truly rallying so she can spend as much time at CHOC with Bella as her body will allow being less than 3 days post-op. She reads bed time stories and poems to Bella so that Bella can hear mommy's voice. Ang will be discharged from St. Joseph's tomorrow. 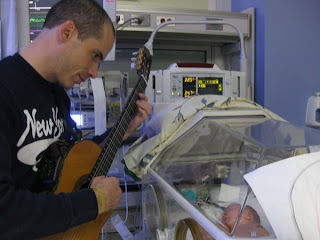 Tim is practicing NICU music therapy on his daughter. He completed his NICU MT Certification training in Florida in February having no idea he would need to use it on his then in-utero daughter 3 months later. The staff in the NICU, from the residents, fellows, nurses, and even head of neonatologists are responding extremely positively to overall effect on NICU environment, morale of staff, and other families present. Silver lining? Thank you for visiting this site. This is going to be the clearing house for updates and information on Bella. Words cannot describe the intensity of this experience, and while the intention is appreciated, phone calls are not welcomed at this time. Please send emails or post to the site. If we need something, TRUST US, we will call you. 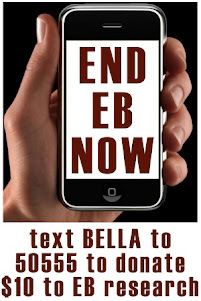 Otherwise, please send positive thoughts, affirmations, and most of all, PRAYERS that Bella somehow can come through this beginning unscathed and perhaps even live a normal life. We love you, we know you love us, and appreciate your care very much. We are blessed beyond belief to have so much love and support in our life that we even need to set this website up. It is a "problem" we are grateful to have! 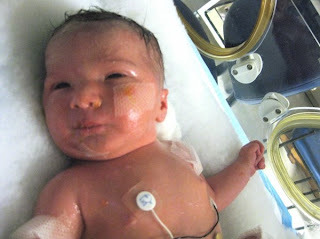 Bella was born via C-section on Wed. 052709 at 5:40 pm weighing 7 pounds 12 ounces and 20 inches long. 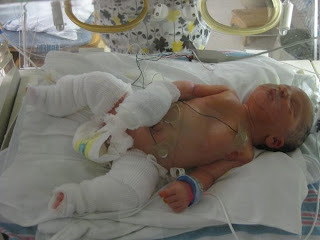 Unfortunately, she has a rare skin condition that caused the skin on much of her left leg to not form in utero, and causes blisters and peeling of layers of skin across her whole body. A diagnosis is being withheld pending a skin biopsy next week. The condition Doctors are considering has 3 main types with several subtypes each ranging in acuity from superficial to fatal. 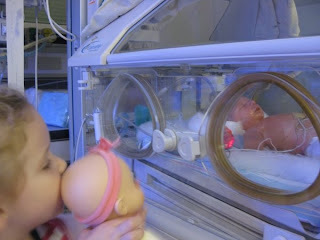 She was taken immediately from the OR at St. Joseph's to the Neonatal Intensive Care Unit (NICU) at Children's Hospital of Orange County (CHOC) and placed in an isolette to keep her humidified and warm. 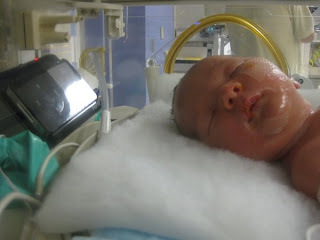 She experienced a seizure on 052809 at 00:30 in the morning. The Doctors are unsure of cause, though the Geneticist on the Team suggests that one strain of her possible condition carries with it seizures.